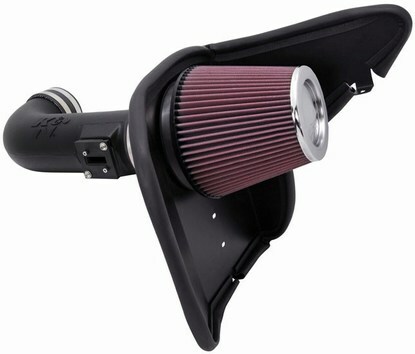 This K&N intake for your Camaro is the perfect first performance modification so get yours today! 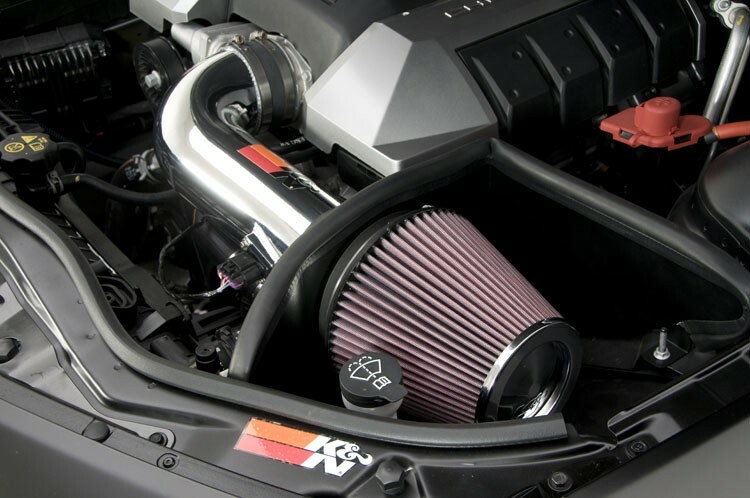 K&N's Research and Development Department really took their time with this intake for the 2010 Chevy Camaro 6.2L, because they knew an owner of a 6.2L Camaro are serious about their power! They spent hundreds of hours of research and on dyno testing, and at the were able to squeeze out over 18 HP from this huge V8! In addition to power gains, K&N air intake systems are also designed to increase filtering capacity and improve throttle response. This kit is a direct bolt on and replacement of your stock intake, installing in no longer then an hour. 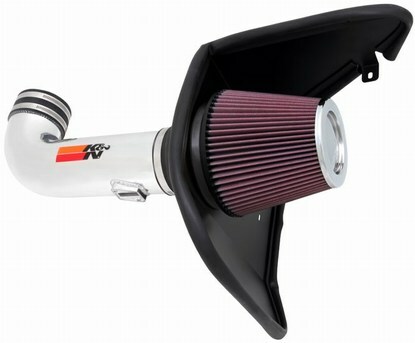 This K&N intake for your Camaro is the perfect first performance modification so get yours today! The heat shields are engineered to isolate the oversized K&N air filter from the heat of the engine bay. This air intake kit also makes use of the Camaro’s factory fresh air duct which provides cooler outside air to the K&N air filter. This filter captures harmful particles, increases airflow and also increases service life. It will perform for up to 100,000 miles before service is required depending on driving conditions. The mass air sensor is installed in the 90 degree bright intake tube. The mass air sensor adaptors are precision CNC machined, 6061 billet aluminum for accurate mass air flow sensor readings.